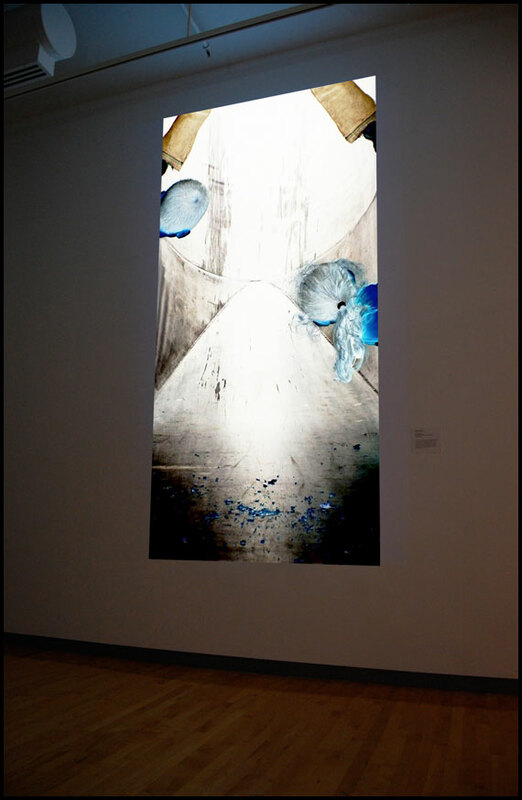 The work: “The Tunnel” shows a vertical projected video image that is turned into negative. Because of this, the tunnel looks very bright. Children at the end of the tunnel gaze into the light to see what is coming. 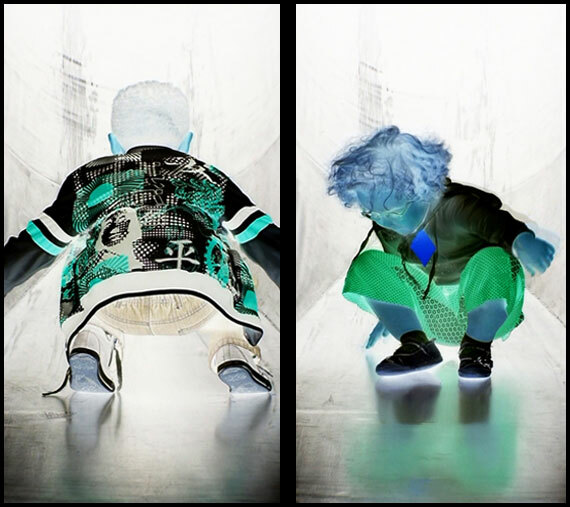 Every now and then a child slides into the images, at an other moment many children fall at the same time in to the screen. Although the image has something serene, there are also moments of chaos and panic. In this video a spectrum of emotions and sensations can be found. Since a tunnel is a passage between two places, soon the question rises where the children are, and were they are coming from. Also the way that the children come into the side raises questions. Why this serenity and why this chaos?